Smokers will include a upgraded seal and optional cast iron pan!!! The rich, full flavor of slow-cooked food has been a staple of outdoor cookouts. 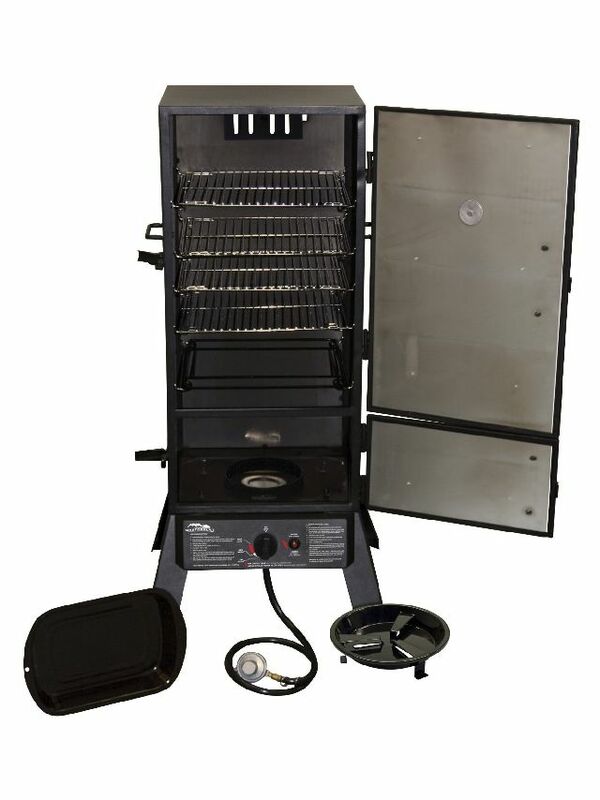 The masterbuilt vertical gas smoker delivers smokehouse flavor as easy as grilling not only does this gas smoker come fully equipped with an electronic push button igniter, but it also has over 700 Square Inch of total cooking space on four chrome cooking racks. The porcelain coated wood chip tray and water pan are removable for easy clean-up. 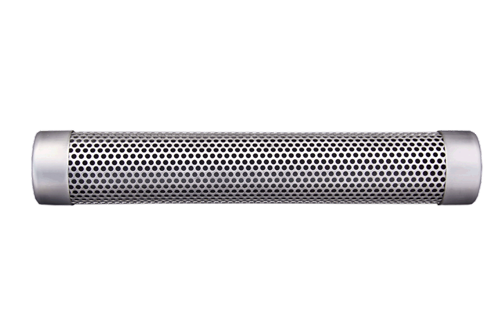 The built-in temperature gauge allows you to always know the temperature of the inside of the smoker and when it’s ideal to add certain foods. 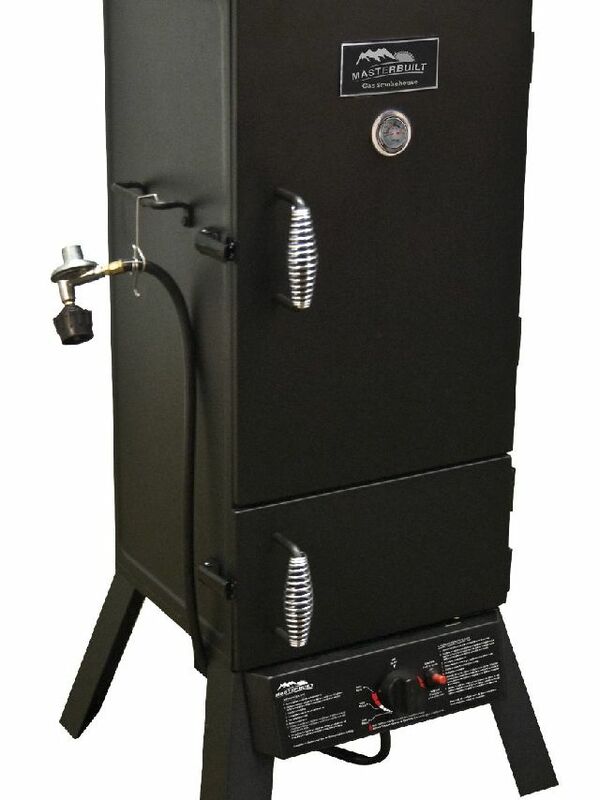 The smoker also has a stainless steel burner and type 1 regulator with hose. 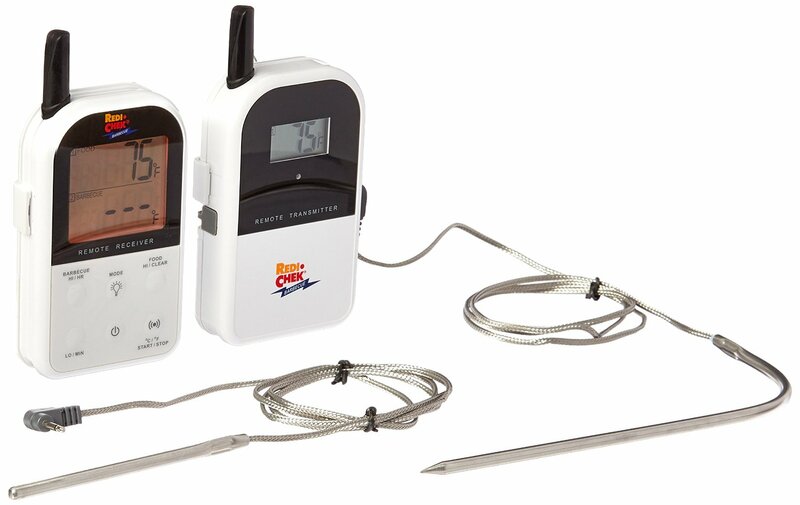 The cool touch wire handles is an added value because it allows you to open the door often without having to use protective hand accessories every time you want to check the cooking process. 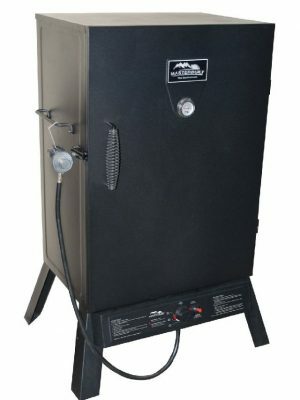 The locking door and the inner liner help to keep the heat and smoky flavor inside. 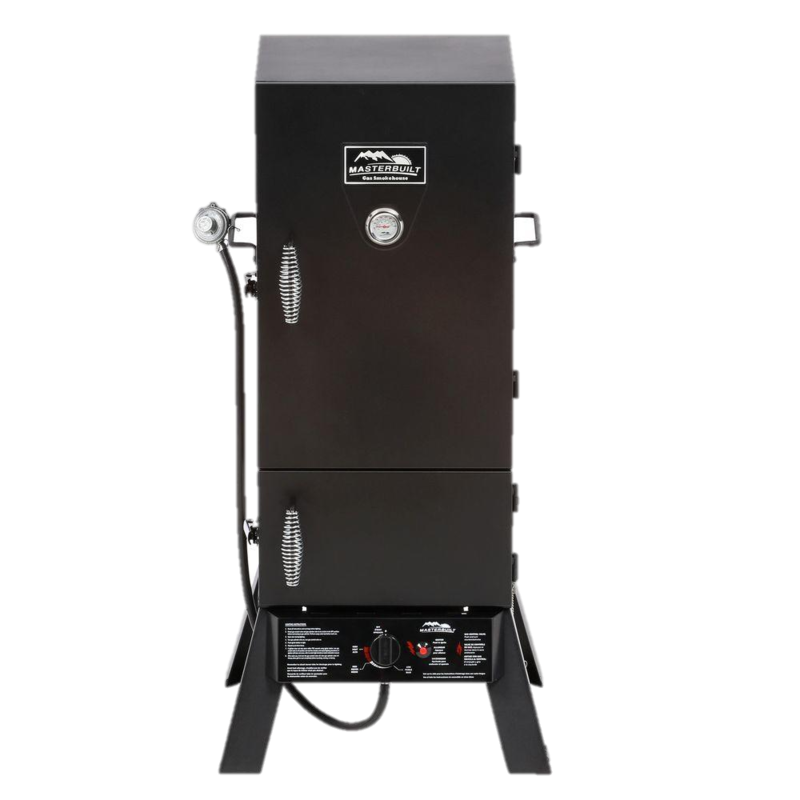 The air damper allows better smoke control allowing you to have as much or as little smoky flavor you would like for your foods. Whether you’re cooking pork, chicken, beef or seafood, the delightfully smoky aroma that permeates from the masterbuilt vertical gas smoker with push button igniter has a way of making friends and family flock around the smoker in the spirit of good times and good food.